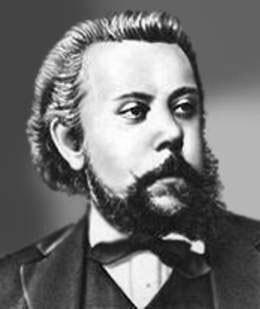 Mussorgsky was born into a wealthy and land-owning noble family in the south-east of Saint Petersburg. At the age of 6 Modest got his first piano lessons from his mother. At the age of 10 he continued his studies in Saint Petersburg where in 1852 at the age of 12 he published his first piano piece. From the age of 13 till the age of 17, in line with the family tradition, he entered in the Cadet School. After his graduation in 1856 Mussorgsky took part in the social and cultural live of Saint Petersburg where he met several figures of importance in Russia's cultural life who introduced him to more radical recent music. Mussorgsky had his first period of alcoholism after his family lost half of its estate in 1861 due to the emancipation of the serfs and his mothers dead in 1865. In this period he artistically moved towards realism which depicts life 'as it is truly lived' and focusses on the lower classes in society. Between 1868 at the age of 29 and 1873 he worked and reworked the opera Boris Godunov, the only opera he completely finished. The first performance in February 1874 at the Mariinsky Theatre in Saint Petersburg was a big success. Serious alcohol abuse, a behavior considered typical for the bohemians opposing the establishment at that time, led to his early death at the age of 41 in 1881.